If eating enough dairy and fish, and spending time in the sun are challenges for you, it may mean you are deficient in vitamin D. This can be more of a problem for people living in northern climates, those who are vegan or vegetarian, or individuals who stay away from the sun for health reasons. Vitamin D3 supplements are made just for that reason. They come in many forms, but with one purpose: to bridge the gap in your diet so you stay healthy. 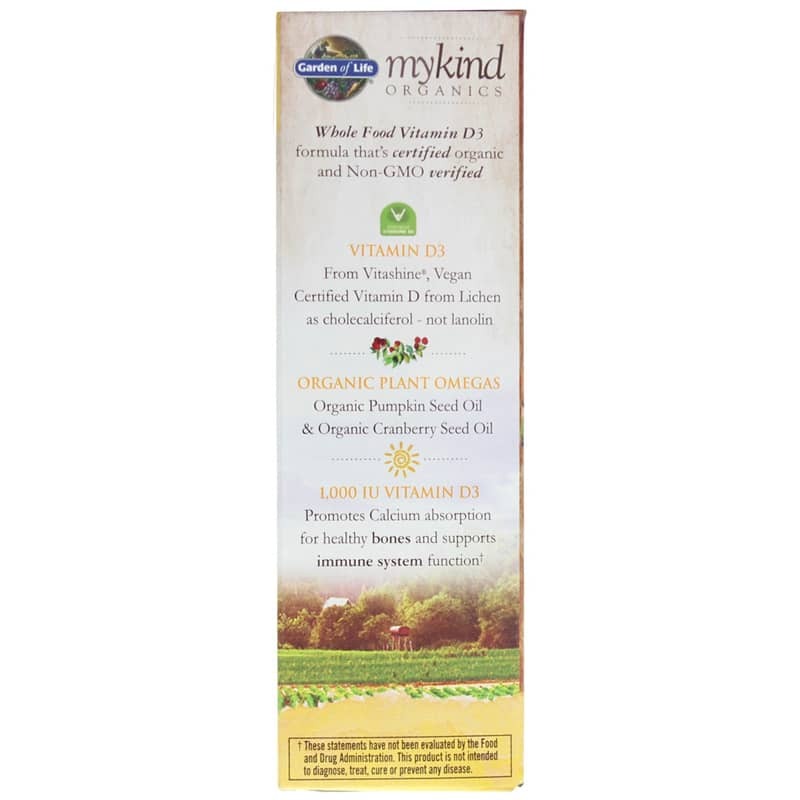 Garden of Life's Kind Organics offers a natural supplement called Vegan D3 that supports breast and bone health. 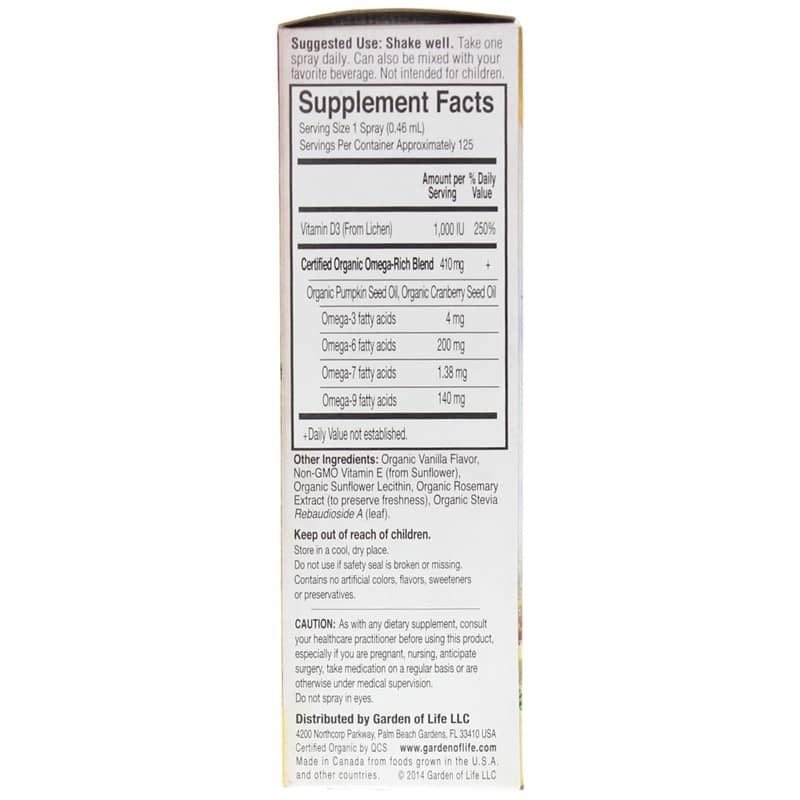 This supplement is made only from real, nutritious food. It contains over 30 fruits and vegetables. This formulation contains no synthetic binders or fillers. It is easy to take - just one spray a day! 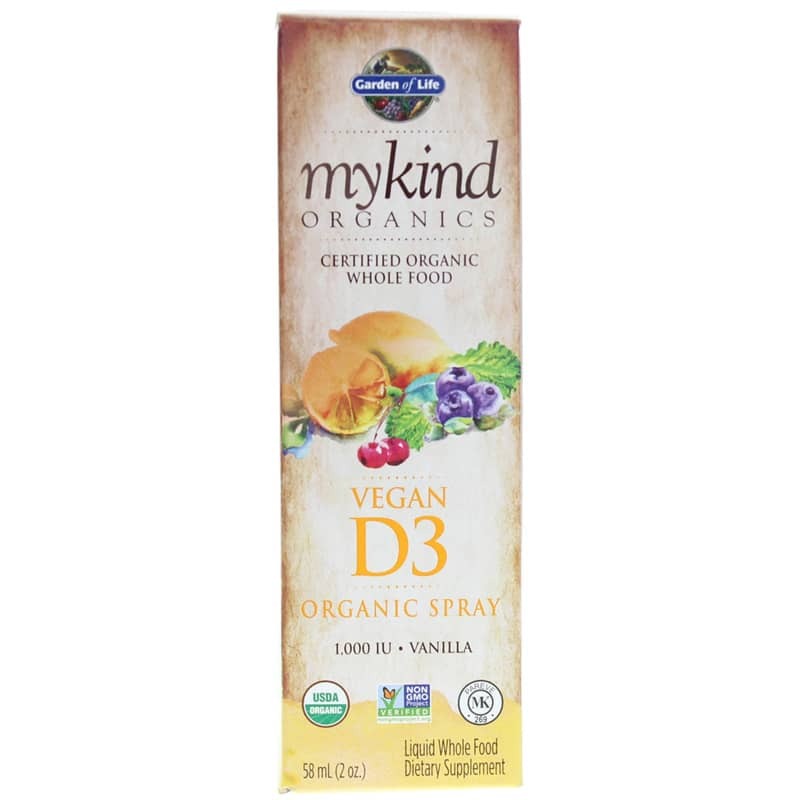 If you're looking for a natural supplement that supports breast and bone health, check into Garden of Life's Kind Organics: Vegan D3. Order online today! 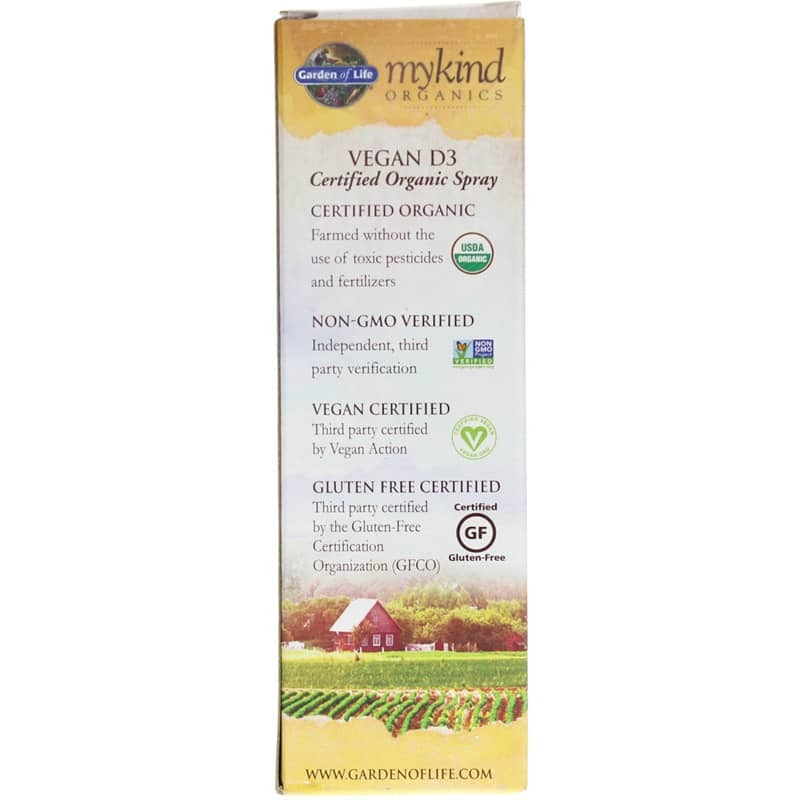 Contains NO: GMOs, gluten, artificial flavorings, sweeteners, colors, preservatives and corn-derived ingredients. Vegan. Adults: Shake well. Take one spray daily. Not intended for children. If you are pregnant, nursing, taking medications, anticipate surgery or under medical supervision, please consult your healthcare practitioner before taking any dietary supplement. Keep out of the reach of children. This is a great liquid Vitamin D3 that tastes great, too. It was recommended to me to take liquid Vit D3 versus the capsules or tablets you get in the stores as the body will absorb it better. I am guessing this is doing what it should and I like this product a lot!